Girl Online, Christmas best-seller of 2014, follows the life of a teenage girl named Penny. Penny struggles with anxiety and panic attacks, causing her to find some of the things that happen throughout the novel quite difficult. It follows your traditional girl-meets-boy storyline but also really helps to highlight issues such as anxiety and cyber bullying. 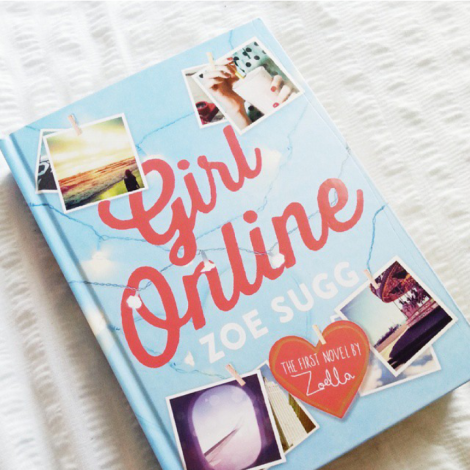 The book is by Zoe Sugg, Zoella on YouTube, and it is so clear when reading it. You can see Zoe's personality and ideas intertwined in the story line, so much that I actually pictured the character of Penny as a younger Zoe. Zoe's love of Brighton and the lanes, as well as blogging and many other things, really shines through, giving the book a really heart warming touch. The book is easy to read, split up into small chapters and is printed in hardback making the book really sturdy. The front cover is lovely and vibrant, really eye catching. Overall, I really enjoyed this book. It really struck a chord with me, due to it's relatable attributes. I am huge fan of Zoella, and this book just makes me love her even more! The romance combined with such real life problems makes this a great read for any teenager. Same here. I really love Zoe and I just started reading the book.